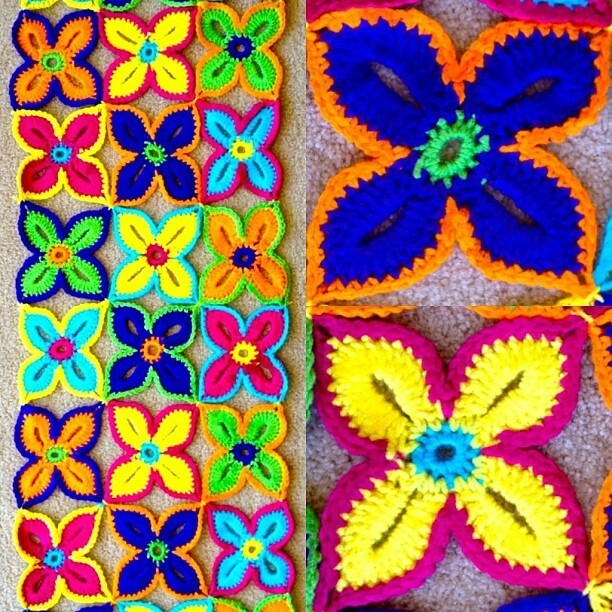 This amazing crochet Hawaiian Flowers pattern is great for so many projects: blankets, coasters, cushions, scarves, ponchos,belts, accessories, etc. So happy, bright, simple, unique,original. 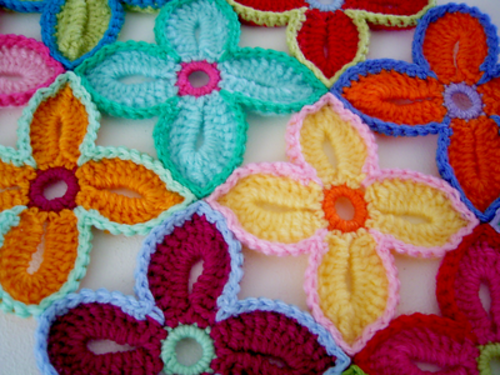 I love the flowers and what a great way to use up some stash yarn. These fun Hawaiian flowers by Sarah London are a great way to play with colors. Thanks to Sarah London this article inspiration and featured image. Are they called Hawaiian because of the colors? Love this!! I was reading through the pattern and I’m a little confused. The pattern is written in UK terms, but does give American translation… tr =dc. The pattern states to do “18 dtr (wrap wool around hook twice). So in American terminology do we do a tr or dc? The picture look like a tr to me, what do you all think? Been looking for this one- thank you!